In 2015, several industry giants like Amazon, Apple, Arm, Cisco, Facebook, Google, IBM, Intel, Microsoft, Mozilla, Netflix, and NVIDIA joined forces to form the independent non-profit organization Alliance for Open Media (AOMedia). The goal was to produce an open source, royalty-free, cross-platform compatible codec that would rival and exceed the capabilities of the codecs presently used, mainly because online video will only grow in importance (according to Cisco’s Visual Networking Index, 82% of all the world’s internet traffic by 2021 will be video). Today, AOMedia announced the public release of the AV1 codec’s specification, the first step to introducing AV1 into commercial products. Nearly three years after launching AOMedia, the AV1 codec addresses real bottlenecks for unleashing the highest-quality video for the entire ecosystem, allowing for better viewing experiences across all screens and data networks. By listening to the industry’s feedback in an open and collaborative manner and bringing together leading experts to develop AV1, an entire ecosystem can begin creating video products and experiences that customers love. We expect that the installed base of 4K television sets to reach 300 million by the end of 2019 and therefore there is already latent demand for UHD services over today’s infrastructure. AV1 will be widely supported across the entire content chain, especially including services. 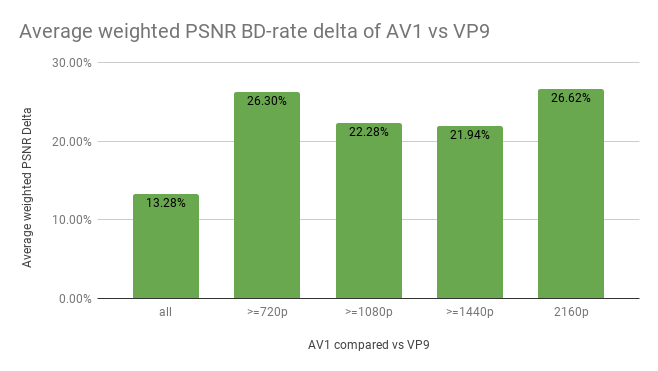 We forecast rapid introduction of AV1 content delivery to help the widespread proliferation of UHD streaming. This claim might not be far-fetched after all. 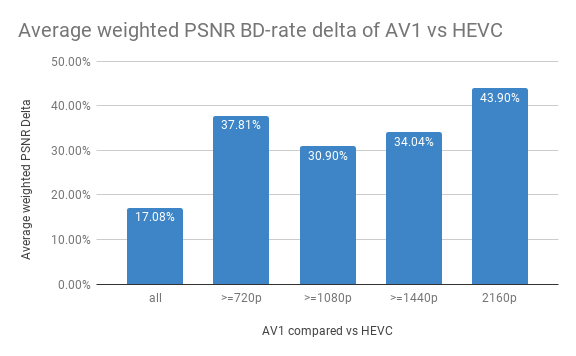 According to this preliminary independent test conducted by Bitmovin, AV1’s compression is up to 40% more efficient than its rivals. On-site demonstrations of the new codec are expected to take place during the upcoming NAB Show (April 9-11, Las Vegas Convention Center). Here you can find the full details on the scheduled activities.